There’s a problem, of course, which is that the structure of the social network is hidden to ordinary users. There is no way of knowing how close you are to your target or who to friend to maximise your chances of getting there. Today, Wei Chen at Microsoft Research Asia in Beijing and a few pals put forward a solution. These guys suggest that social network companies should offer this kind of “active friending” as a service. The idea is that you name your target and the company then suggests the friending strategy that is most likely to produce the desired outcome. They’ve even developed and tested an algorithm that does the job. Social networks already suggest potential friends based on information such as who your existing friends know, who you email and so on. But this “passive friending” is an entirely undirected service. There is no goal other than to increase your number of friends and the amount of time you spend on the network. 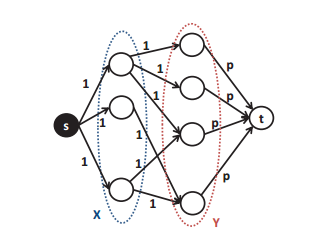 So Wei and co have developed an algorithm called SITINA (Selective Invitation with Tree and In-Node Aggregation) which when given a target, suggests potential friends with the goal of maximising your chances of friending them. The strategy has some important subtleties. For example, one way to reach a target is to find the shortest route across the network. But the problem with this is that it relies on each person in the chain accepting their invitations. A better strategy, say Wei and co, is to chart many routes across the network so that it is more likely that at least one will result in the desired connection. What’s more, this strategy can produce several friends in common giving the target invitation a higher chance of success. But this too has a downside–it means that you have to handle a large number of invitations which is time consuming and tedious. So there is clearly a balance between flooding the network with invitations and charting the shortest route to reach the target. This where SITINA comes in. This algorithm is designed to optimise the process so that it maximise the chances of friending a target given a limited budget of invitations. Wei and co say they’ve tested it on a group of 169 Facebook users who they recruited for the task. The test consisted of giving each Facebook user a set of targets and a limited number of invitations and challenging them to friend each target on their own. In parallel, these users were also given recommendations by SITINA which they also used. Wei and co say their algorithm significantly outperformed the manual approach. “User study and experimental results manifest that active friending can eﬀectively maximize the acceptance probability of the friending target,” they say. That’s an interesting idea that could clearly generate substantial demand among social network users who want to initiate contact with distant targets. However, an important question that Wei and co have not addressed is the impact this algorithm could have on the targets. It doesn’t take much imagination to think of ways this kind of approach could be abused–as a tool for stalking, for example. Then there are questions of privacy. This approach not only reveals one or more paths across the network to a target but also a certain number of the target’s friends. It may even make it possible to reconstruct a given target’s social network. Given the high profile mis-steps that various social networks have made in creating unwanted links between people on their networks, it’s clear that the legal and privacy issues that active friending raises need to be carefully studied before releasing it into the wild.